In his home country and in the Japanese sports circles, Hiroshi Toyoda is simply known as “the Professor” for teaching and researching the game of volleyball. Toyoda discovered the sport of volleyball almost by accident after a childhood dedicated to another sport Japanese are passionate about; baseball. While playing only baseball, he developed shoulder issues that prompted him to abandon the sport. He moved on to play volleyball, and although he discovered he was particularly good at serving, his size limited his ability to play at the highest levels. Still in love with the sport, Toyoda opted to begin coaching while still in high school, and that evolved into a legacy career. After graduating from Nippon Sports Science University in 1957, he immediately became a lecturer at his alma mater until moving on to serve as a lecturer at the prestigious Tokyo University in 1959, a position he held for a decade. After leading a women’s team to two national titles in Japan, he was recruited to help the Japan national team prepare for the inaugural volleyball Olympics at the 1964 Games in Tokyo. Toyoda, a specialist in exercise physiology, instituted a program of weight training to increase jumping power that led to the development of a unique and dominating way Japan played the game. At the 1964 Olympic Games, Japan won gold in the women’s event while the men won bronze. The men followed that performance with silver and gold in the next two Olympic Games. Overall, Toyoda has coached teams to 15 titles in the All-Japan Championship Games. While Japan dominated internationally, Toyoda looked toward the future in keeping Japan among the elite. In 1971, he became the founding father of the Japan high school championships and 10 years later formed the national competition for primary schools. Toyoda’s footprint is not just in Japan. He served as visiting professor at the University of Alberta in Canada from 1974 to 1975 at a time the sport was evolving in that country. During this period, he worked with the Canadian national team in preparation for the 1976 Montreal Olympics and helped develop coaches and players across Canada. He introduced the successful Japanese training methods to coaches and players across all Canadian provinces. Toyoda lent his skills to not just coaching, but in so many other areas of the sport. He was an FIVB international official from 1965 until he retired in 2013. He has been part of the Japan Volleyball Association’s administration for more than 40 years, including eight years as managing director and controlled many of its commission activities. Even in his 80s, Toyoda continues to give back to the sport as he took on the presidency of the Japan Volleyball Coaches Association in 2015. Toyoda is also a legend in the international volleyball community. He ascended to the presidency of the FIVB Rules of the Game Committee in 1980, then moved into the president role of the FIVB Coaches Committee in 1994. 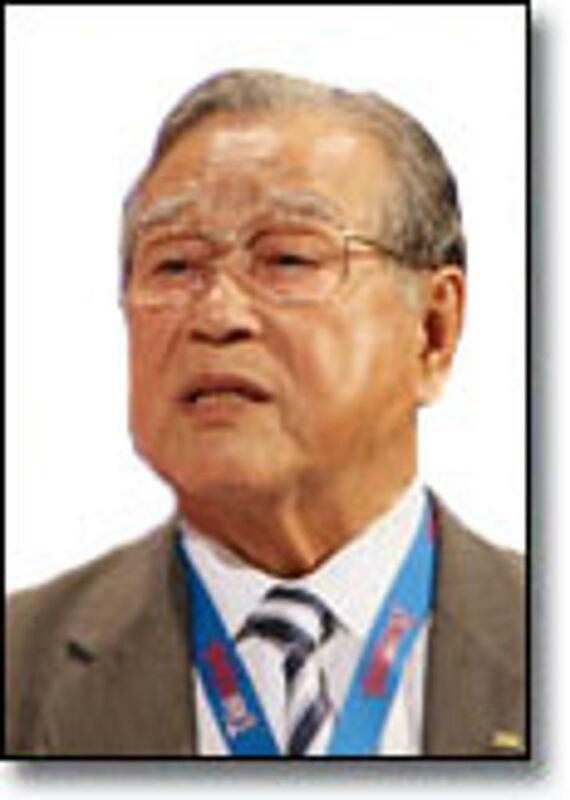 After serving as president of the FIVB Technical Committee in 1998, Toyoda was selected to the FIVB Board of Administration and later to the FIVB executive board in 2002. Toyoda’s contributions to the game are numerous, including the establishment of a formal Coaches Education System, a Mini Volleyball Federation, Soft Volleyball Federation and Volleyball Information Systems (VIS) in Japan. He has held over 300 coaches and administrator clinics all over Japan and the world, as well as publishing over 30 volleyball books. Internationally, Toyoda helped form the standardized FIVB rules of the game, helped introduce the rally-point scoring system and the libero position. He served on the control committee for over 30 top international events including several Olympic Games and World Championships. For his extended and varied international volleyball leadership positions and impactful coaching career at home in Japan that has spanned six decades, we are proud to induct Hiroshi Toyoda into the International Volleyball Hall of Fame as a leader.